A highlight of the DC meeting was the first-ever AAS open-mic night. 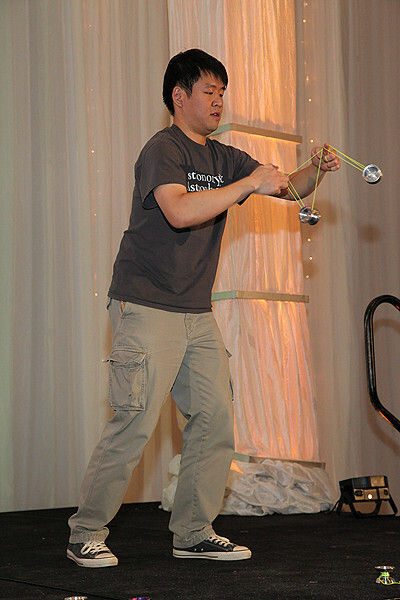 Among the dazzling demonstrations of talent was that of Yo-Yo virtuoso Wayne Ngan (University of Toronto). AAS photo © 2014 Joson Images.